Letting yourself get stressed out over the little things in life is one of the biggest ways to bring unnecessary grief into life’s path. You can avoid a lot of negative feelings, and even health problems, simply by learning not to let the little things get to you. If it's not against God's ways it's simply not that bad! When something small threatens to destroy your attitude and positive outlook, think about the fact that everyone makes mistakes. Whether it is yourself or someone else who caused the situation that feels like a train wreck, keep in mind that mistakes are a normal part of life that happen to everyone. Don’t let one bad moment take you by surprise. It can be hard to forgive someone else when it feels like they have brought you extra work and stress. 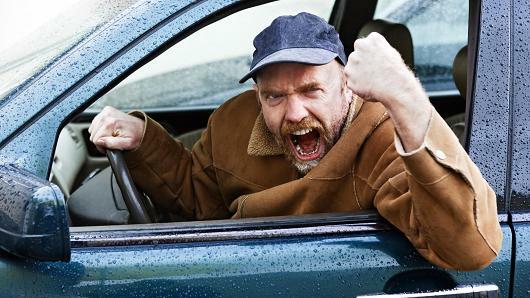 When someone rear ends your vehicle, you may be tempted to lash out at them verbally. However, stop and think about how it may feel to be in their situation. Don’t act and feel as though you have never made a mistake, but choose empathy. Forgiving others can be a simple matter in comparison to forgiving ourselves. There are many moments that we treat ourselves worse than we would ever allow a friend to treat us. When you are having a difficult time forgiving yourself, think of how you would handle a similar mistake made by a good friend. Stop and think before bullying yourself, and consider seeking professional help if you can’t stop a cascade of negative thoughts every time you fall short of perfection. We all have problems, and generally at the time, any problem seems big. Perception is not always the truth, though, and it is up to us to put our situation into perspective so that we can properly deal with whatever comes our way. When something negative happens in your life, ask yourself if it will matter in ten years. If it won’t, let it go. If someone gives you the middle finger in traffic, you may be tempted to lose your cool, but it is simply not worth it. Save your emotions for things that are life changing and deserve your full attention. When something goes wrong, you have two choices. You can slip into a rage, or let it go. Making the choice not to sweat the small stuff will bring you life-changing happiness, and you will be thankful for your own shift in perspective.